Florence is a city bustling with markets. You can find clothes, sunglasses, jewelry, souvenirs, food, and home accessories, but more prominently than all else you can find leather. You can honestly find anything your heart desires when it comes to leather – I don’t think I’ve ever seen so many purses and coats in my life as I did there. Markets selling leather good are virtually at any piazza in Florence, which is not surprising since it is one of the things this beautiful city is best known for. Most start by visiting the San Lorenzo market which is one of the biggest and best (it is actually comprised of two markets), but you can find similar merchandise all through the city. You’ve got to know how to bargain if you want to pay a good (or even an extremely cheap) price. And I’m talking about nice genuine leather, not just knock offs. Now, call me a sucker, but I’m pretty by the book. I have an extremely tough time arguing with people and dislike confrontation – so bargaining is pretty much a nightmare for me. What a lot of inexperienced North American travelers don’t know, is that in many European countries people expect you to bargain with them, it’s a totally common practice. So don’t feel bad doing it! I learnt this the hard way when I tried buying my first leather purse in San Lorenzo market. The merchant said the purse was €45 I said I only had €30 and was only willing to pay €27. He sold me the purse no problem. Turns out I said a much higher price than expected – a day later a classmate of mine bought a bag twice the size of mine for €20 she just knew how to bargain better than me. This way you can say you only have €17 on you and actually pull that amount out of your bag instead of €50, which will guarantee your price will be high and non negotiable. Try to act as if you’re on the fence about the item – not like you love it. If you seem like you might walk away, the price is more likely to be lowered. Start walking away from the merchant – show him you’re serious, he’ll most likely call you back. Still not getting the price you want? Don’t be afraid to actually leave. Almost everything you see is sold all throughout the city so feel free to browse – you will most likely find the same item again and can negotiate for a better price. Want to test if your leather is real? Some people can simply tell by the touch or smell. If you can’t – or want to be 100% sure, ask the merchant to light a flame close to the material – if they won’t do it, the leather is most likely fake. Real leather won’t be damaged by a flame – fake leather will be. 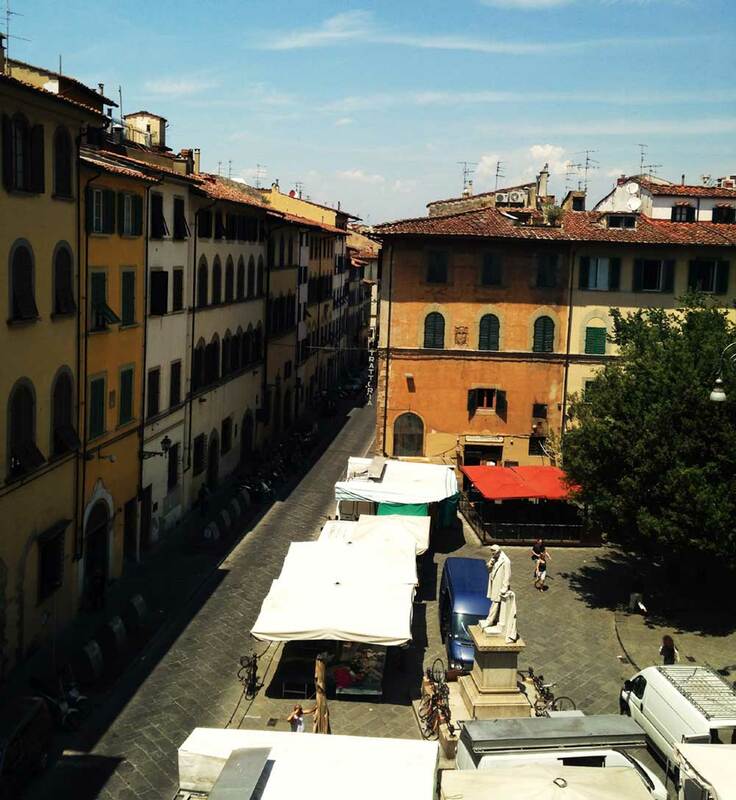 If you know any other great markets in Florence, leave me a comment below!